Welcome back to Style Statement Tuesday! A little bit about Style Statement Tuesday - Each week, I showcase a look I love that I think fits my style statement, which I have defined as 'Classic Casual.' It's also a place for you to link-up your outfit posts and inspirations. To read more about Style Statement Tuesday, click here. 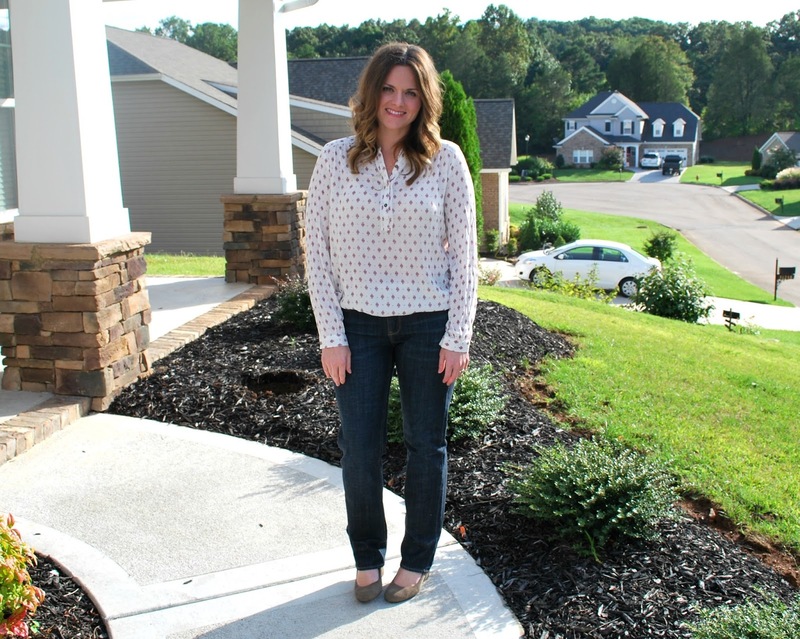 I'm linking up for Style Sessions and What I Wore Wednesday. That top is gorgeous! Love it. Loving your outfit! Your top is too cute! I love your hair! Does it wave like that naturally? That blouse is so darn pretty! What kind of curling iron do you use? Love your hair!